I'll tell this story here on the blog 'cause I'm amazed by the strenght of the nature. Yeterday was a terrible day of rain and wind,and my boyfriend found this little bird near his garage. The baby bird was wet and fearful,and he took it at my home. It was in a carton box,and was trying to open his little wings to fly away but immediately after he fell down. I made a nest with and old basket filled of pile cuttings and putted it in the cage that used to be of my rabbit. The bird seemed to be happy of that change,and so I started caressing him and gave him a name: Pìu. Every 1/2 hour i feeded Pìu with the tip of a chopstick dipped in baby food (homogenized meat), and gave it some water with a dropper. He passed the night here at home,quiet and sleepy. Today in the early morning he started cheep loud, and after a few minutes I heard a sort of answer out of the window. Didn't know what to do,but I followed my instinct. So I putted the cage out of the window and...my god...the mom arrived with a little worm for him! I was astonished and so happy! Dedicated to all the moms and to their strenght also in troubles; and to that ones who feel already lost like the little bird. A new product for my shop!! The WHIPPED BODY FRAPPE!! I've made it in 3 scents so far: FLUFFY CHERRY,JUICY PEACH,AND LEMON SPLASH. 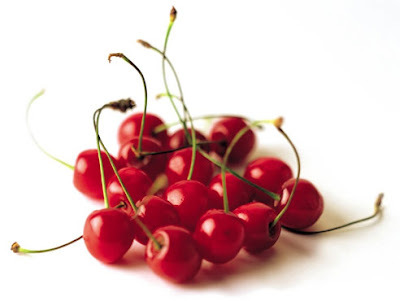 The cherry one is DIVINE, smell it is like smell a basket full of real red juicy cherries. You can see above the packaging I've made (also the labels are handmade with a special adhesive paper for printers ^^). What do you think about this new add? Do you like the scents? Any advice or critique is greatly apreciated! Hi people!! How are you?? Just finished to make my new soap!!! I'm very satisfied on my work,the soap looks good and smells soooo fresh. Now I have to talk about something else. I'm thinking about adding some new prodcts to my shop,but I already can't decide!! The other thing I'd like to start making are lip balms; I tought something like little jars or tins,with colorful labels! What do you think? Can you dear readers help me with my decision?? ?